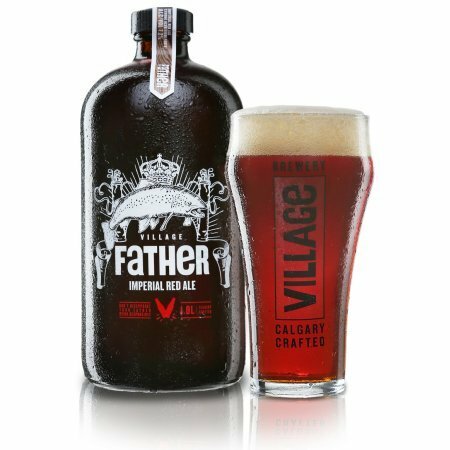 CALGARY, AB – Village Brewery has announced the release of a new beer brewed in honour of Father’s Day – although given its limited nature, there’s a good chance it might sell out before the holiday hits. Hi, it’s your Father. I appreciate every gift you’ve ever given me. I’ve worn hand-painted ties with pride to the office, and my “best dad in the world” coffee cup, t-shirt, BBQ apron and socks are in high rotation. But what I’d love most is time with you. I’d love to hear your stories, dreams, fears and ambitions. I’d be happy to help if asked or be just as happy to listen and learn, to see who you’ve become. If you are still young, let’s go to the park or have a catch. If you’re of age, let’s share a pint. And if that pint can be a limited-edition North American style Imperial Red Ale with a subtle balance of rich, dark malts and bitter Belma and Galaxy hops, all the better. The 7.2% abv Village Father is out now in a limited batch of 1400 x 1 litre growlers, on sale at select liquor stores in Calgary and the Village retail store while supplies last.